Further improvements to XMCQDPT2 code. September 21, 2016. Firefly distribution at the Mac OS X section of the Firefly Homepage was upgraded to version 8.2.0, build # 10203. See the History section for the list of changes. September 19, 2016. Most current documentation for Firefly v. 8.2.0 can be found in the Manuals section. September 19, 2016. Firefly binaries at the Downloads section of the Firefly Homepage were upgraded to version 8.2.0, build # 10203. See the History section for the list of changes. December 7, 2015. Most current documentation for Firefly v. 8.1.1 can be found in the Manuals section. November 29, 2015. Firefly distribution at the Mac OS X section of the Firefly Homepage was upgraded to version 8.1.1, build # 9295. See the History section for the list of changes. September 3, 2015. Firefly binaries at the Downloads section of the Firefly Homepage were upgraded to version 8.1.1, build # 9295. See the History section for the list of changes. April 9, 2015. Most current documentation for Firefly v. 8.1.0 can be found in the Manuals section. August 24, 2014. Firefly binaries at the Downloads section of the Firefly Homepage were upgraded to version 8.1.0, build # 9035. See the History section for the list of changes. August 8, 2014. Most current documentation for Firefly v. 8.1.0 Final RC can be found in the Manuals section. 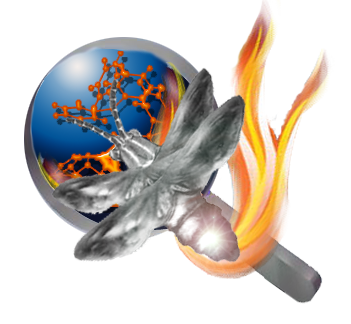 July 23, 2014 Final release candidate of Firefly version 8.1.0 is now available! June 27, 2014. Second release candidate of Firefly version 8.1.0 is now available! June 1, 2014. Most current documentation for Firefly v. 8.1.0 RC can be found in the Manuals section. May 20, 2014. First release candidate of Firefly version 8.1.0 is now available! March 6, 2014. The public beta-test program for Firefly version 8.1.0 beta 1 is now open! January 1, 2014. Firefly binaries at the Downloads section of the Firefly Homepage were upgraded to version 8.0.1, build # 8540. See the History section for the list of changes. September 14, 2013. Firefly distribution at the Mac OS X section of the Firefly Homepage was upgraded to version 8.0.0, build # 8240. See the History section for the list of changes. September 5, 2013. Firefly binaries at the Downloads section of the Firefly Homepage were upgraded to version 8.0.0, build # 8240. See the History section for the list of changes. July 25, 2012. The public beta-test program for Firefly version 8.0.0 RC is now open! February 3, 2012. As a part of the development of the forthcoming Firefly version 8.0.0, we have developed 64-bit DGEMM code for AMD Bulldozer microarchitecture which runs 2 to 2.5 times faster than the DGEMM implementation of the latest ACML (version 5.1.0). This code is now incorporated into the Firefly v. 8.0.0. February 3, 2012. Recent presentation by Alex Granovsky on the non-invariance of QD-NEVPT2 theory (September 29th, 2011) is available in the Archives section. June 7, 2011. The article on XMCQDPT theory has just been published online in JCP: A. A. Granovsky, J. Chem. Phys. 134, 214113 (2011). It is also available directly in the Archives section of Firefly web site. April 17, 2011. New Firefly version 8.0.0 beta benchmarks data for Core i7 2600K AVX-enabled system are published in the Performance section. July 20, 2010. Recent presentation by Alex Granovsky on the Conical Intersections and Multiconfiguration Quasi-Degenerate Perturbation Theories (June 2nd, 2010) is available in the Archives section. March 7, 2010. Firefly for Mac OS X binaries at the Mac section of the Firefly Homepage were upgraded to version 7.1.G, build # 5620. See the History section for the list of changes. February 25, 2010. Important information for Windows 7 users was published in the Discussion section. December 4, 2009. Firefly binaries at the Downloads section of the Firefly Homepage were upgraded to version 7.1.G, build # 5618. See the History section for the list of changes. July 27, 2009. New PC GAMESS/Firefly benchmarks data for AMD Quad-core Phenom II X4 955 Black Edition 3.2 GHz system are published in the Performance section. July 26, 2009. Some initial benchmarks for CUDA-enabled PC GAMESS/Firefly v. 7.1.G are published in the Performance section. July 6, 2009. New PC GAMESS/Firefly benchmarks data for dual Intel Xeon W5580 based system are published in the Performance section. June 8, 2009. The updated p4stuff.dll/p4stuff.ex files are available for download in the Downloads section. This version fixes the nasty Core i7 MKL dgemm bug (our thanks to Intel's MKL team!). For the description of problem visit the following page. May 18, 2009. We found two critical bugs in Intel's 32-bit MKL version 10.1.2.026. The bugs are in the implementation of dgemm routines for large matrices. The earlier versions of MKL that support Nehalem and Penryn processors are affected as well. Please visit the following link to find out how these bugs can affect the PC GAMESS/Firefly and for suggested workaround. April 25, 2009. New PC GAMESS/Firefly benchmarks data for Core i7 940 based system are published in the Performance section. April 20, 2009. Drag and drop input files processor for PC GAMESS/Firefly (Windows) was updated. Our thanks to Dr. Christos Garoufalis. The updated version is available for download in the Downloads section. March 11, 2009. Batch job processor called FiCo (Firefly Commander) for PC GAMESS/Firefly (Windows), gracefully donated by Pasquale Morvillo, is available for download in the Downloads section. Ferbuary 24, 2009. The PC GAMESS/Firefly binaries at the Downloads section of the PC GAMESS/Firefly Homepage were upgraded to version 7.1.F, build # 5211. See the History section for the list of changes. January 16, 2009. We finally got the offical Firefly LOGO! Many thanks to Lyndsey Vernon and Nick Greeves of University of Liverpool! January 11, 2009. The PC GAMESS/Firefly binaries at the Downloads section of the PC GAMESS/Firefly Homepage were upgraded to version 7.1.E, build # 5190. See the History section for the list of changes. December 21, 2008. The PC GAMESS/Firefly benchmarks data for Core i7-based system are published in the Performance section. December 14, 2008. Recent presentation by Alex Granovsky on the XMCQDPT theory and its implementation within the PC GAMESS/Firefly is available in the Archives section. The "Manuals" section was updated as well. December 13, 2008. Drag and drop input files processor for PC GAMESS (Windows) was updated. Many thanks to Dr. Christos Garoufalis! The updated version is available for download in the Downloads section. December 11, 2008. The compatibility issue resulting in crash of statically linked PC GAMESS/Firefly binaries running under latest 64-bit Ubuntu Linux releases was fixed. Please contact Dr. Alex Granovsky for details on how to get the updated Firefly binaries. December 4, 2008. The Job macrolanguage processor (Windows version, see link in the "Downloads" section) was updated for compatibility with Firefly. November 14, 2008. Recent presentation by Alex Granovsky on the state specific gradients for state-averaged MCSCF as implemented in the PC GAMESS/Firefly is available in the Archives section. October 17, 2008. The PC GAMESS/Firefly Project Team is no longer associated with GAMESS (US) and ISU group, as well as the PC GAMESS/Firefly itself. Therefore, we are glad to announce a one-year transition period starting October 17, 2008. During this period, both PC GAMESS and Firefly names will be valid, and can be used as synonyms. However, starting October 17, 2009, the only valid name for the former PC GAMESS package will be the "Firefly" one. October 17, 2008. The new official PC GAMESS release called "Firefly", version 7.1.C (i.e., 7.1.12 decimal), build # 5014, has just been made publicly available at the Downloads section of the PC GAMESS Homepage. The downloads of older PC GAMESS releases from ISU are no longer supported. Note you need to get the new installation password (finally! only the single password!) from PC GAMESS/Firefly Project Team for these binaries. The complete documentation on the new features will be published at the PC GAMESS/Firefly web server within a couple of weeks or so. September 29, 2008. The next public PC GAMESS release, version 7.1.C (i.e., 7.1.12 decimal) will be released within a week or so. Unlike all previous PC GAMESS binary distributions, it will be directly downloadable from our web server (and only from our web server), as we will not be not longer associated with ISU. As a result, it will be protected by only the single password. The downloads from ISU will not be longer supported. Note you'll need to receive the new installation password from us for these binaries. Wait for future announcements and monitor Downloads section of the PC GAMESS Homepage! September 29, 2008. We have just added Google-driven Search widget to the PC GAMESS Homepage. It simplifies search of any PC GAMESS-related information which can be found on this server. May 21, 2008. Bindings DLLs for DeinoMPI and Intel MPI (Windows) are available for download in the Downloads section. May 19, 2008. Simple drag and drop input files processor for PC GAMESS (Windows) gracefully donated by Christos Garoufalis is available for download in the Downloads section. May 7, 2008. We have recently performed MP2/cc-pVTZ geometry optimization of fullerene C60 to test the performace and scalability of our new MP2 gradient code on Windows 2008 Server/CCP 2.0 cluster. Interested users can download the complete rar-compressed input and output files here. The hardware used was exactly the same as described on this page. Each compute node has only one physical disk per four CPU cores (i.e., four PC GAMESS instances) thus degrading IO performance to some degree, reducing CPU usage and increasing wall clock time. Having four physical HDDs per node would halve execution time. November 8, 2007. As the part of the continuous process of PC GAMESS improvements, we have developed 32-bit DGEMM code for Core 2 microarchitecture which runs at 83% of the theoretical peak performance of the processor. This code will be incorporated into the PC GAMESS distribution for faster computing of those PC GAMESS users who run PC GAMESS in 32-bit environment and cannot benefit from the PC GAMESS' 64-bit processing features. It will also be donated to the MKL team. September 5, 2007. Official PC GAMESS v. 7.1, build # 4471, was released to the public. August 31, 2007. Work on the implementation of analytical energy gradients for state-averaged MCSCF has been completed. August 2, 2007. Zip archive with external basis set files for PC GAMESS containing Ahlrichs' def-2 basis sets definitions (H-Rn), gracefully provided by Roman Zubatyuk, as well as the Python script to handle basis set files were added to the Downloads section. June 27, 2007. The beta test program of the PC GAMESS v. 7.1 final RC is now opened. New PC GAMESS version features completely new state of the art parallel semidirect MP2 gradient program with excellent performance, scalability and very modest memory demands. The updated PC GAMESS binaries are available from MSU for registered PC GAMESS users for testing purposes upon request. May 20, 2007. Beta version of JOB for Linux OS - Macrolanguage for PC GAMESS, gracefully provided by Drs. Marat Talipov and Ivan Vakulin (Ufa State University), is available for download from the "Downloads" section. April 30, 2007. Comparison of parallel mode performance and scalability using either dynamic or static load balancing approaches are published in the Performance section. April 23, 2007. The updated PC GAMESS v. 7.0.7 (build # 4194) binaries are available from MSU for registered PC GAMESS users for testing purposes upon request. Dynamically linked Linux binaries of PC GAMESS are now fully nptl compatible and were carefully tested with MPICH, MPICH-GM, MPICH-MX, OpenMPI, Scali MPI, HP-MPI, Intel MPI 3.0 and Infinipath MPI implementations. March 5, 2007. JOB - Macrolanguage for PC GAMESS, gracefully provided by Drs. Marat Talipov and Ivan Vakulin (Ufa State University), is available for download from the "Downloads" section. February 16, 2007. The updated PC GAMESS v. 7.0.4 (build # 4102) binaries are available from MSU for registered PC GAMESS users for testing purposes upon request. This version includes more numerically stable PCM energy and gradient code, as well as serious improvements of parallel scalability of ALDET CASCI/CASSCF module. February 2, 2007. The updates to the PC GAMESS v. 7.0.3 binaries are available from MSU for registered PC GAMESS users for testing purposes upon request. This version includes parallel PCM code. January 21, 2007. The updated PC GAMESS v. 7.0.3 (build # 4063) binaries are available from MSU for registered PC GAMESS users for testing purposes upon request. This version includes shared memory version of P2P interface (Windows), support of OPTX, OLYP, and O3LYP xc functionals, enlarged PCM dimensions, as well as several other new features. October 8, 2006. New, much faster MCQDPT2 code has been developed. The updated PC GAMESS v. 7.0.2 (build # 4020) binaries are available from MSU for registered PC GAMESS users for testing purposes upon request. August 17, 2006. Initial optimization of the PC GAMESS for Intel Core 2 microarchitecture has been completed. The updated PC GAMESS v. 7.0.1 (build # 3970) binaries with better support of Intel Core 2, as well as with several minor bugfixes and improvements, are available from the ISU PC GAMESS download page!